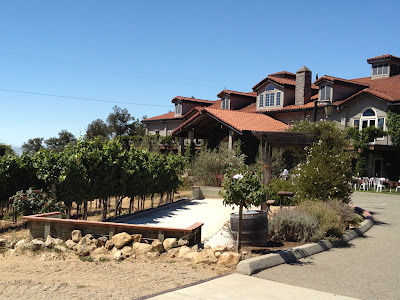 We headed up the hill to our first stop: Byington Vineyard & Winery. 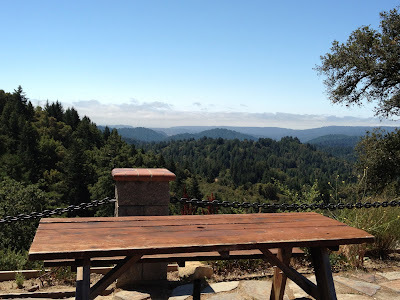 Instead of taking the usual Bear Creek, which is slow and winding to the point of inducing motion sickness in the weaker of us, we followed 17 to the top, and headed up Summit. Ted insists this way is much faster. It seemed equally slow to me, but I imagine it could be faster if Ted was behind the wheel. We arrived shortly after opening. After exiting the car, we realized we were in for a treat. The grounds were gorgeous! 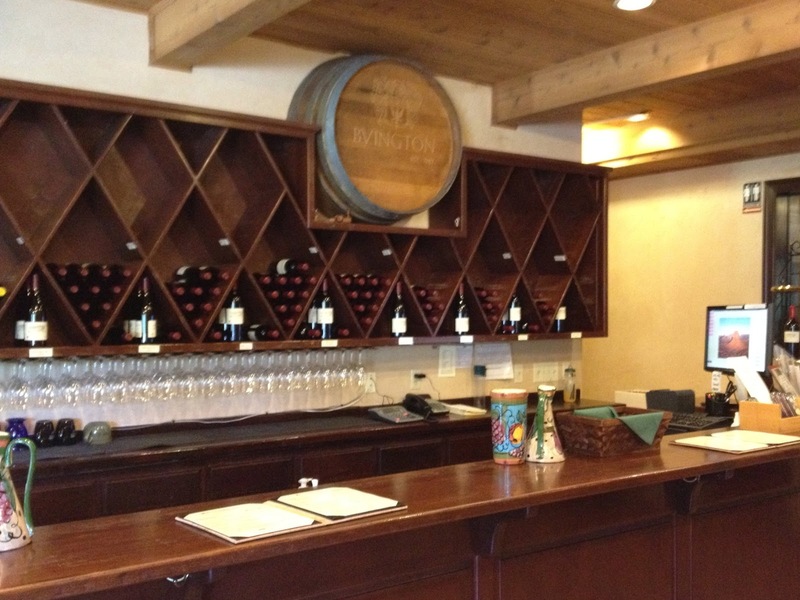 The tasting room was nicely decorated, though somewhat disappointing after seeing outside. 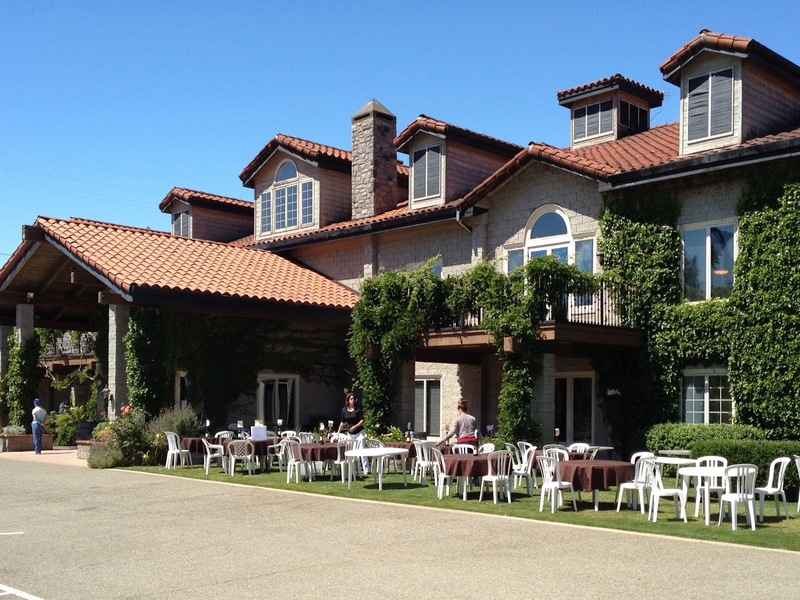 It had plenty of room at the long bar with windows opening to the operations of the winery. Byington was busy. A tour was organizing out back and a tasting class was starting soon. That said, we were the first of the day in the tasting room. We paid the $8 tasting fee, 5 of which is refunded if you purchase a bottle. The friendly and knowledgeable Richard McCaw poured for us and answered our questions. He started us off with a couple of whites, followed by two Pinots, the only grape grown on the estate, and finishing with a couple of cabs. Sue really liked the Rose. I favored the Block 4 Pinot, which was very good, but expensive at $50 a bottle. The tasting room was nice, but outside was where Byington truly shined. There were plenty of tables to enjoy a bottle or simply relax at. 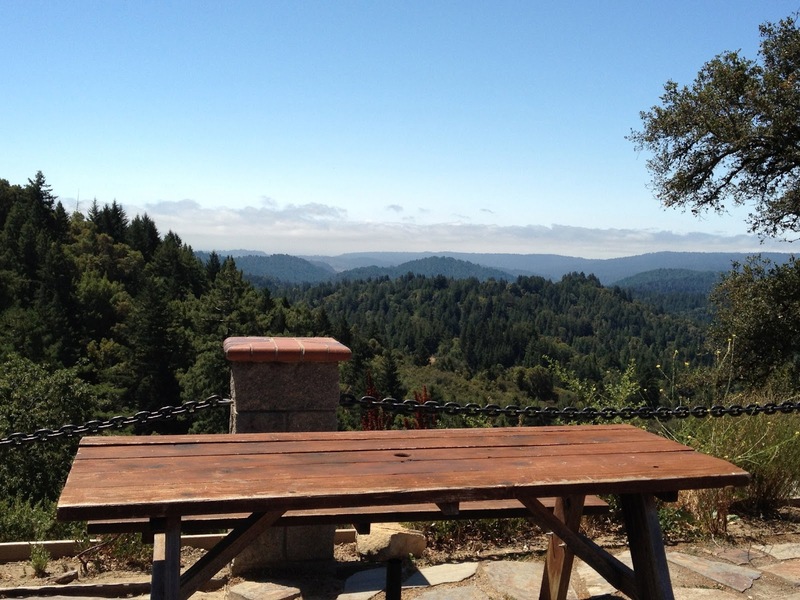 Out back we found more picnic tables with great views of the Santa Cruz Mountains. We headed up Wedding Hill. It was a wonderful area bordered by vines and another view of the mountains. Sue took in the view from ever angle and dreamed aloud of being remarried there. She wants to renew our vows for our 25th or 30th anniversary, the first of which is only 3 years away. Renewing vows aren't at the top of my list, but I can't see refusing her. On the way to the car we noticed the bocce court. We enjoyed one last look and headed on to our next stop. 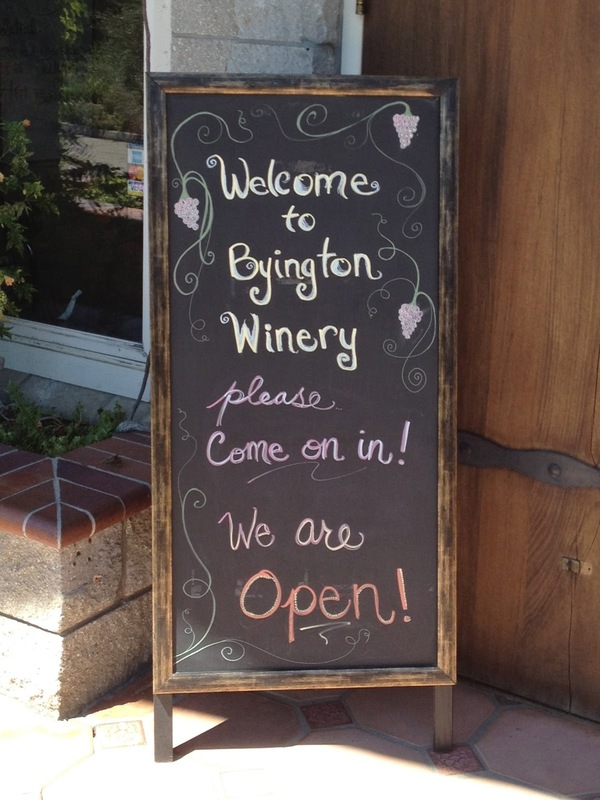 Byington is open Wednesday through Sunday, 11 to 5. Would you like some Wine with your Coffee?